Lal-lo-c (old name of Lallo) now named Lallo, one of the first four cities in the Philippines (others: Manila-1571; Cebu – 1565; Naga- 1575) was named Ciudad Nueva Segovia in 1581 by Carreon. It was chosen as capital of Cagayan Valley Region because of its favorable location and navigable river. It was also seat of the Diocese created by Pope Clement VII on August 15, 1595 until the seat was transferred to Vigan, Ilocos Sur in 1758 because of its relative distance from Manila. Very famous among the missionaries at that time was Bishop Miguel de Benavidez, OP, the first bishop elected to the Diocesan home in Ciudad Nueva Segovia. He later founded the University of Sto. Tomas. It was from Lallo that authorities governed the province and was the capital of Cagayan up to 1839 when Cagayan Valley Region was subdivided. On May 24,1839 the province of Isabela was created comprising the towns of Cordon to Ilagan, including the sitio of Palanan. Nueva Vizcaya comprised the region from Aritao to Bayombong and later to Diadi. Cagayan comprised that part of the valley from Tuguegarao to Aparri and the Babuyanes. And the provincial government was moved from Lallo to Tuguegarao. Geographically, the valley is located at the northeastern part of mainland Luzon covering an area of about 26,858.79 square kilometers making it the second largest region in the country. Bounded with the Pacific Ocean in the east and the protective mountain ranges of Caraballo on the west and Cordillera Mountain, the provinces of Nueva Ecija and Aurora on the south. 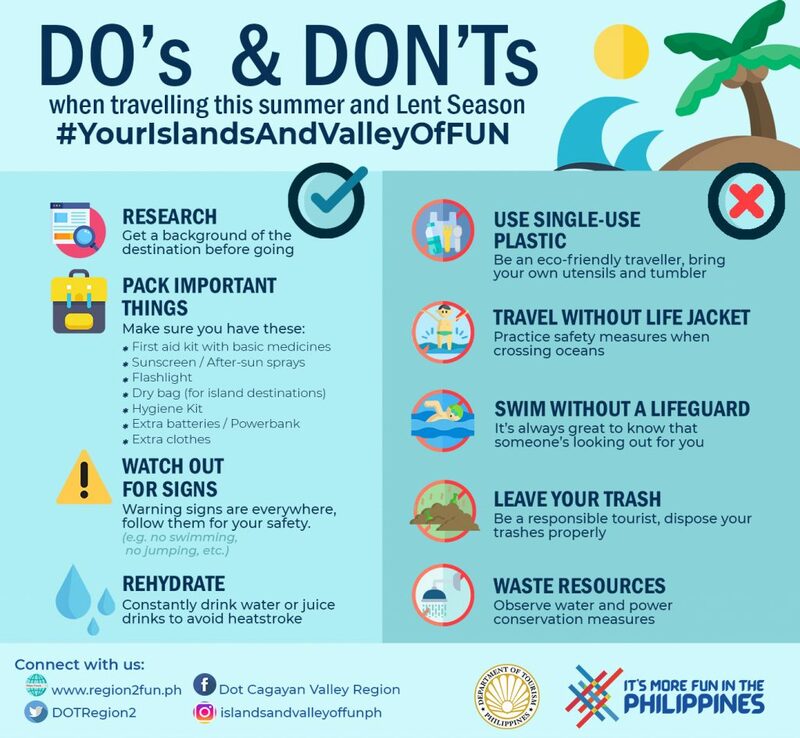 Between the ranges is the valley where most of the population live and is criss-crossed by the mighty Cagayan River, the longest and widest in the country and its tributaries, which flow into the Babuyan Channel in the town of Aparri. The Pacific Ocean on the east coast and the Babuyan Channel on the north also skirt the mainland. 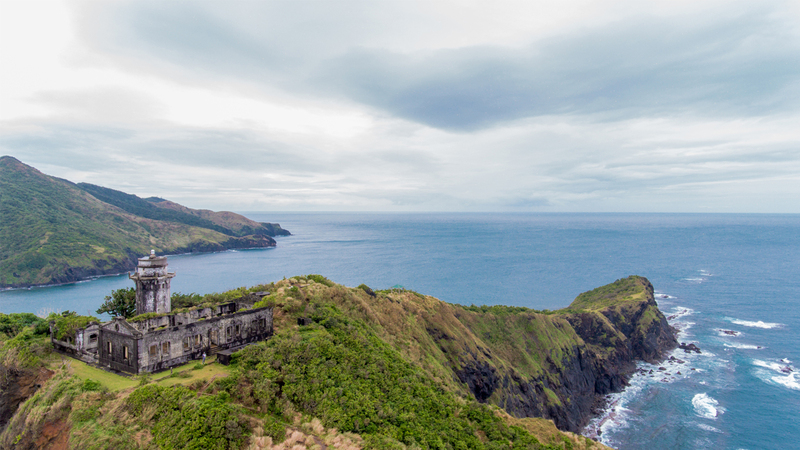 The Batanes group of Islands is located at the northernmost tip of the Philippine Archipelago surrounded by Bashi Channel on the north, Pacific Ocean on the east, Balintang Channel on the south and the West Philippine Sea on the west. Claveria CagayanIt has more than 890 kilometers of coastline and rich fishing grounds, particularly with the Babuyan and Balintang Channels on the north and the Palanan and Divilacan Bays on the east including its territorial seas within the 200 kilometer Exclusive Economic Zone (EEZ). The region has four (4) minor volcanoes with several inactive fault lines, which include the Digdig Fault. The climate in the valley falls under Type 3 characterized by not very pronounced seasons- relatively dry from November to June and wet during the rest of the year. Cagayan Valley Region is composed of five provinces – Batanes, Cagayan, Isabela, Nueva Vizcaya and Quirino and four cities – Cauayan, Ilagan, Santiago and Tuguegarao. The region’s population based on the year 2010 census of population was 3,229,163.